Motor vehicle accidents can be caused by any number of things: distracted driving, speeding, drunk or drugged driving, failing to heed posted traffic signage, reckless driving, inclement weather and poorly maintained roads. Wrecks can also be caused by mechanical defects and malfunctions, such as brake failure. Motorists have a responsibility to maintain their vehicle's systems—including brakes—to ensure that they are in good working order. However, even motorists who are diligent about having their vehicle inspected and maintained can experience brake failure if one of the brake's components is defective by manufacturer or design. If you were injured in an accident caused by defective brakes, here's what you need to know. Any of these brake problems can lead to brake failure—and the potential for catastrophic accidents—if not addressed immediately. Vehicle owner: If the owner of the vehicle was warned about a brake-related maintenance issue, but failed to have it repaired, they may be held liable for damages if their car causes an accident. Mechanic: A mechanic who's hired to fix a brake issue, but fails to do so, could be liable for damages if the car crashes as the result of the unresolved brake problem. They may also be considered responsible if, while servicing the vehicle, they leave the brakes in a defective condition. Parts manufacturer: A car parts manufacturer could be at-fault if a manufacturing error or faulty design caused the brakes to fail and cause an accident. Vehicle dealership: If a dealership knowingly sells a vehicle with a defective or faulty brake system, they may be liable for injuries and other accident-related damages. 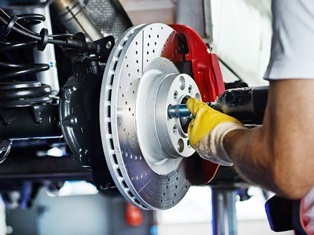 Proving brake defects or failure as the cause of an accident is more difficult than it sounds. However, our experienced Delaware product liability lawyers can help you explore your legal options and determine if you have a viable case.